I spied a link today in which the venerable Neil deGrasse Tyson lists eight books "every intelligent person should read". So I thought to myself, Hey, what's so great about this Neil deGrasse Tyson guy anyway? Then I snapped out of such foolishness, but still realized that I've read plenty of great books myself that have made me a more learned non-believer. I have a caveat though: I've excluded polemics, like the famous "new atheist" books The God Delusion (Dawkins), God is Not Great (Hitchens), or The End of Faith (Harris). I don't think there's anything wrong with polemics, and you can bet that those authors have a place in my library. But the truth is that honestly don't feel like I learned that much about atheism from polemics. My non-belief was influenced more by Stephen Hawking than by any new atheists, and my education on key issues related to atheism have come almost exclusively from books dedicated to science. It's my view that atheism is not a starting point to some kind of materialistic worldview, but rather an outcome of rational thought and critical inquiry. With that in mind, it's worth building a solid foundation of science and philosophy with some well-chosen books. Here are eight of my favorites. Pascal Boyer is an anthropologist who is Henry Luce Professor of Individual and Collective Memory at Washington University. Religion Explained takes a cognitive and anthropological approach to studying why we have religious beliefs, how they are formed, why certain beliefs flourish while others pass out of existence, and the utility that religion serves in social hierarchies (including how it informs moral norms). It's almost overwhelmingly thorough, and I loved it because of how incisively it breaks misconceptions that even non-believers have about religion. Think people are religious because it's a way of explaining profound philosophical or existential questions, or because it gives them comfort? Think again. Boyer's forays into cognitive science take some careful reading, but he takes the time to explain his thesis thoroughly and review key concepts before new ones are introduced. It's not the easiest read, but given the scope of the material it's exceptionally well-done. 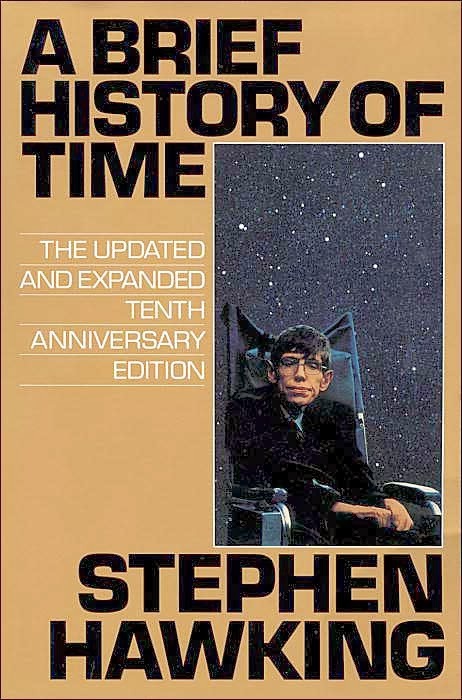 Stephen Hawking should need no introduction, nor should this modern classic on theoretical physics. As one might expect with a book on such an esoteric and difficult subject, it's slow reading; and it's almost a running joke that lots of people have bought A Brief History of Time, but not actually read it. Hawking injects his exposition with plenty of analogies and a healthy dose of humor, but it's still difficult to digest it all, particularly with only one reading. However, where it really gets interesting is in chapter 8: The Origin and Fate of the Universe, in which Hawking tackles some of the biggest questions of all. Having been raised to believe in God, the biggest "gotcha" we could toss at non-believers always seemed to be: If there's no God, where did the universe come from? At the risk of a minor spoiler, Hawking doesn't give an answer. But he does show that it's a question that can be explored scientifically, and that we don't need to assume that "God did it" is some sort of default explanation. 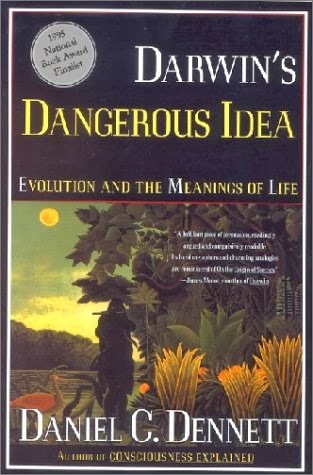 Richard Dawkins is undoubtedly known most among atheists and Christian apologists as the face of evolution, but it's this provocative book from cognitive scientist and philosopher Daniel Dennett that delves into the real religious and philosophical implications of evolution. Most notably, it's the loss of teleology, or purpose, that makes evolution such an uncomfortable fact for even liberal theologians. Evolution removes human beings from any privileged place among the animals, and its nonrandom selection of randomly varying genes shows that if we were to start the clock of evolution from the beginning again, all probability is that the resulting biodiversity would not even include humans at all. Quite simply, evolution is not a process designed to produce humans. 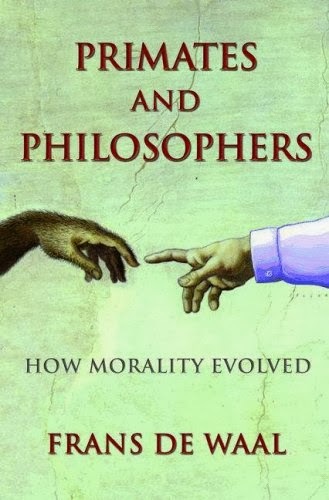 Dennett later expounds on the evolutionary origins of morality and proposes a naturalistic, rather than divinely-imbued, view of ethics and purpose. 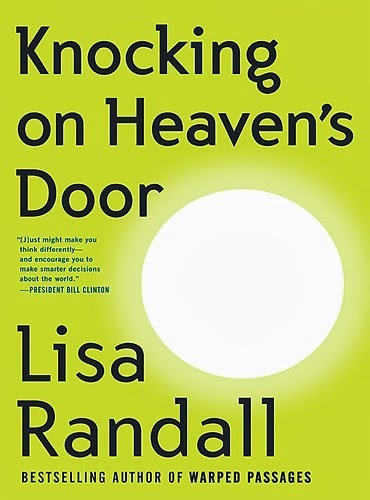 Lisa Randall is a physicist at Harvard to whom I was introduced with her mind-bending book Warped Passages when I read it in 2009. This is her latest book as of this writing, which serves as both a nice primer on the state of theoretical physics and a great overview of epistemology. The book is informative and clearly written (as with A Brief History of Time, books on theoretical physics can be tough for laypersons to absorb), and while its explanation of recent developments in physics and their practical implications is certainly gripping, I most loved this book for Randal's provocative admonishment of magical thinking and her provocative thesis on the importance of science in rational thought. It's not the type of convoluted epistemology you're prone to trip over in discussions of Kant or Descartes; it's concise, clear, and most importantly informed by our modern understanding of the universe. If you're after a reflection on the epistemological speculations of Western philosophy's most famous thinkers, Randall's book won't suffice. But Philosophy in the Flesh certainly does, and it's as well-written and well-argued as it is ballsy. 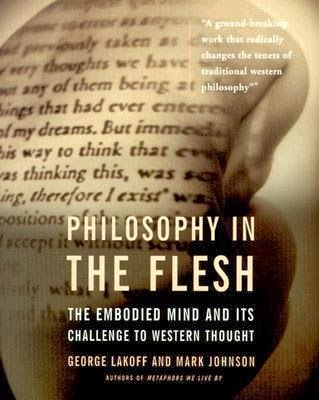 Lakoff, a cognitive linguist, argues that modern developments in cognitive science have demonstrated much of Western philosophy to be wrong; that while the great philosophers often correctly identified important conundrums, they lacked the means to properly test their theses. The Cartesian person of dualistic natures, the Kantian autonomous person, the utilitarian and phenomenological persons, the Chomskyan syntactic person – are all non-existent. The mind is inherently embodied, abstractions are metaphorical constructs arising from the mind (contra Platonic realism), and much of reasoning is unconscious – rendering a priori introspection a futile model for understanding the self and reality. Frans de Waal has gotten to be fairly well-known among non-believers in recent years, and even stirred up some controversy for his admonishment of vocal atheists (despite being a non-believer himself). But regardless of his personal views, he's done some extraordinary work in studying what, exactly, morality really is and how it evolved. Primates and Philosophers is one of his more accessible works, bogged down a bit by essays from some colleagues and critics that seem superfluous. But the central thesis is vital: morality is not some sort of transcendent or objective set of rigid ideals, but a means by which social-living creatures cooperate for mutual benefit. We have evolved as interdependent individuals living in a complex social hierarchy, with moral norms serving as a mechanism that allows us to cooperate and thrive. De Waal rebuts the thesis that morality is a triumph of human reason, arguing instead that it is an evolution of more primitive social behaviors in our evolutionary ancestors that can still be observed in our modern evolutionary cousins today. It's a common sentiment that as our society has become more technologically advanced and more socially crowded and interdependent, we as a species have been in a downward spiral of self-destructive violence. 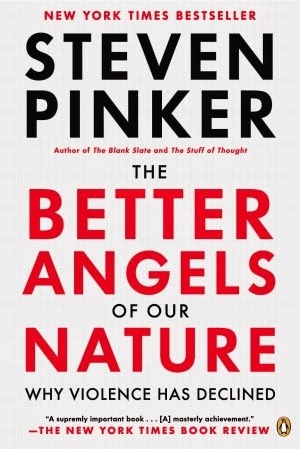 Pinker's almost overwhelmingly detailed book can be roughly divided into two sections: one, showing that sentiment to be wrong – humans are living in the most peaceful era in all our existence, with the statistical likelihood of violent death at an all-time global low. And two, his thesis as to why this has happened. While many a Christian I have encountered like to credit their religion with civilizing human society, the truth is that most of this civilizing process occurred despite the influence of religion, and religion has molded and adapted itself to the needs of modern humans – not vice versa. 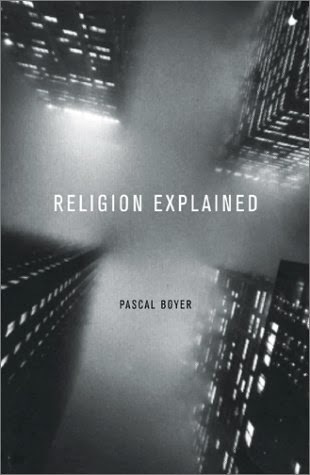 Understanding the social constructs underpinning our behavior is an invaluable insight into debunking the perceived utility of religion, and Better Angels makes a great companion to Boyer's cognitive and anthropological exposition in Religion Explained. Since so much importance is placed by Christians upon the words of Jesus, it behooves us to understand just how the records of those words were produced. Christian apologists would have us believe that Jesus' words were meticulously remembered through oral tradition, then meticulously copied by highly skilled scribes such that we have thoroughly reliable accounts of Jesus' life and ministry. 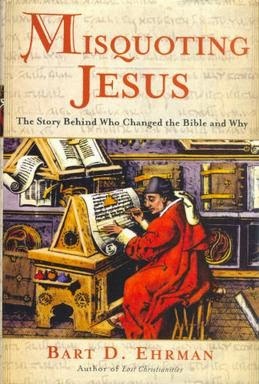 The truth, Ehrman argues, is far different – the New Testament transcripts were copied mostly by amateurs, and the copies are rife with contradictions, errors, omissions, and additions. Many widely celebrated texts held as infallible truths by believers are in fact belated additions tacked on to ancient tales. It's not that this is a secret among New Testament scholars, but it's Ehrman's insight into textual criticism that proves most troubling for Christianity. If we're to believe that the Bible is the inspired word of God, it's certainly harder to accept that claim when it's difficult to know exactly what those words were really intended to be in the first place.